Anyone passing through the picturesque town of Comber, County Down, is sure to notice the commanding statue in the central Georgian Square. 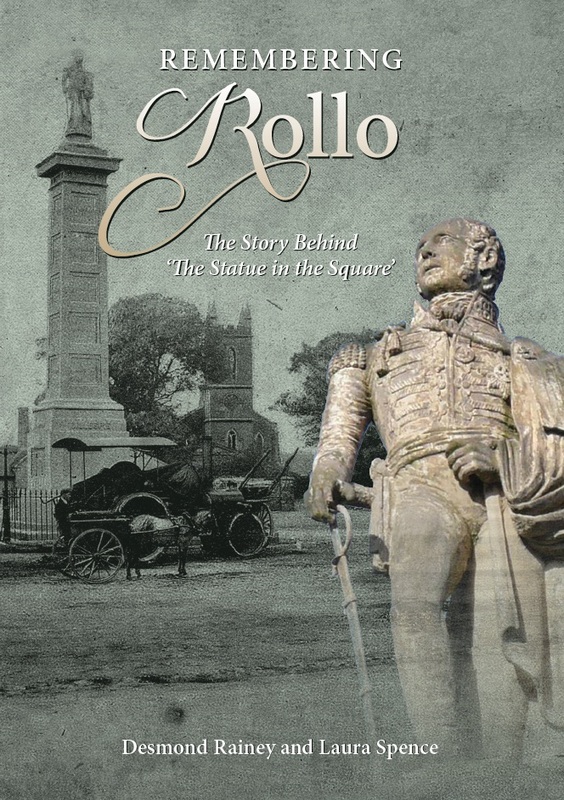 Major General Sir Robert Rollo Gillespie presents an impressive figure as he stands atop his lofty column, sword in hand, overlooking the streets and houses of comber, and gazing far over the rolling drumlins of Down. A notable landmark – the Grecian column stands 55 feet high – the statue commemorates a remarkable man and one of Comber’s most famous sons. This booklet outlines the life and times of the charismatic Rollo Gillespie, looking at his background, military career, and equally colourful personal life. It will explain why, when the statue was unveiled in 1845, over thirty thousand people crowded in to Comber Square; and it will bring to life once more the personality behind ‘the statue in the square’. Desmond Rainey is a retired civil servant, having worked in the Department of Agriculture and Rural Development for over 40 years. He is an elder in 2nd Comber Presbyterian Church, and has in the past sung in the church choir, participated in amateur dramatics, and played badminton and tennis. He has always been fascinated by history and was a founder member of Comber Historical Society. Desmond is also an avid collector of old postcards, photographs of Comber and music of the 1960s and is co-author of A Taste of Old Comber and A Chronicle of Comber 1873-1912: The Town of Thomas Andrews, Shipbuilder.